Captain's Meeting is open to anyone interested in becoming a Mixed Adult League Captain for MATA sponsored spring tennis league. 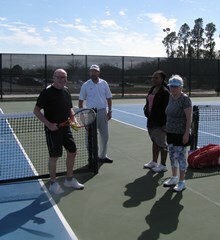 We need Adult Tennis League Captains!!! Summer Richbourg and Kellie Ann Briseno will outline the league rules and procedures, get contact info, and have Q & A. Please contact asexton@matatx.com to sign up for the event.